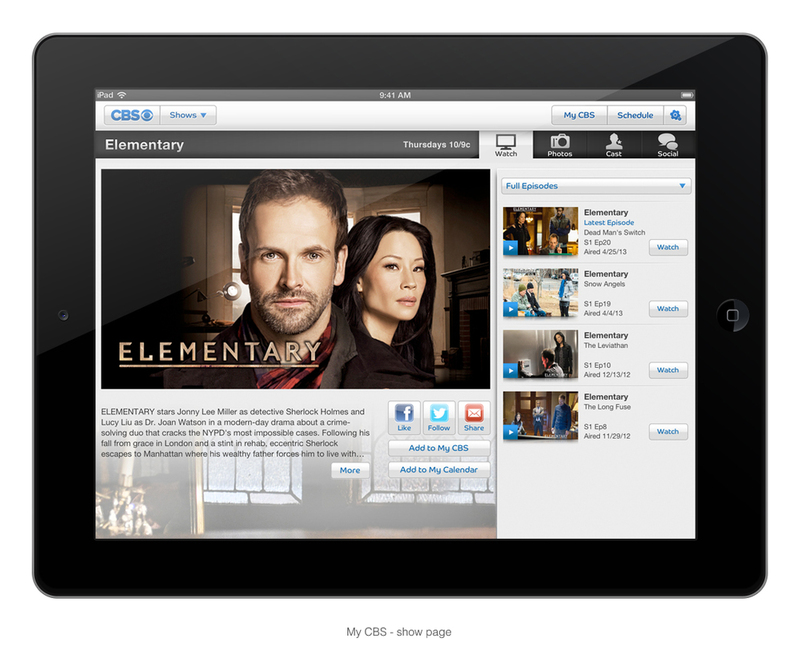 Mobile and tablet design for the official CBS mobile app. Style guide creation, text and button styling, and key art editing for over 100 of CBS's most popular daytime and primetime programs. Also shown are concept mocks for a How I Met Your Mother™ tablet app, created for CBS Interactive. Streamlined, touch-friendly UI design encourages users to connect on various social platforms while a rotating carousel and swipeable side-nav system allow easy access to all functions of the interactive app.